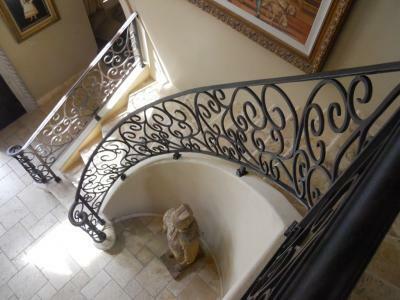 This custom wrought iron railing was installed in Scottsdale, Az. This durable iron railing turns this foyer into a completely different room and provides a "wow" factor when you first enter this home. This iron railing will withstand the years and is easily maintained. This railing was installed to match and compliment this customer's iron entry door, notice the matching scroll work, finish and overall design.This double iron door has sidelights and a transom which create a beautiful framing of the doors itself, while allowing more natural light into the foyer. 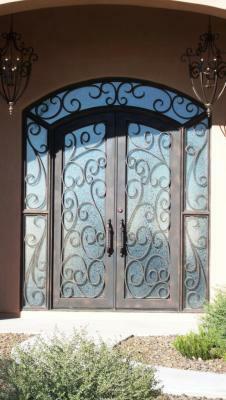 Signature Iron Doors can provide a solution to any of you iron needs and we are always available to answer any of your questions.